For the first time! 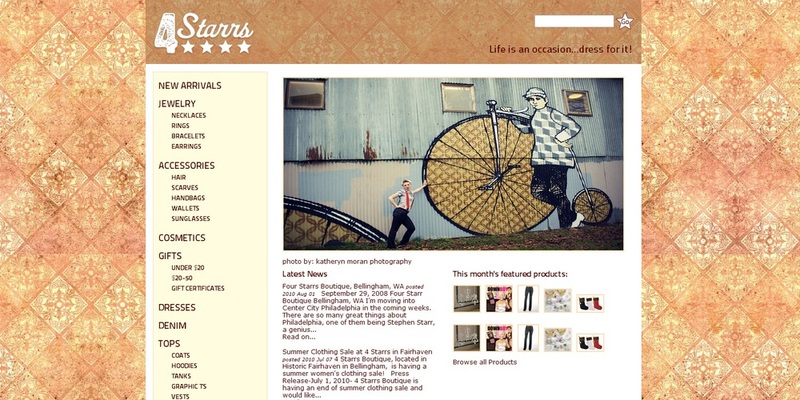 Check out http://www.fourstarrsboutique.com/. Danielle Starr, owner, found this photo a long time ago and couldn't resist adding it to her lovely boutique homepage. Her charming, vintage inspired shop is located in downtown Fairhaven. The perfect place to find that needed extra accessory. Keep an eye out for a new photoline featuring her store very soon!